Repairs to a train line from Healesville to Yarra Glen that will run a steam train and become a huge tourist attraction. 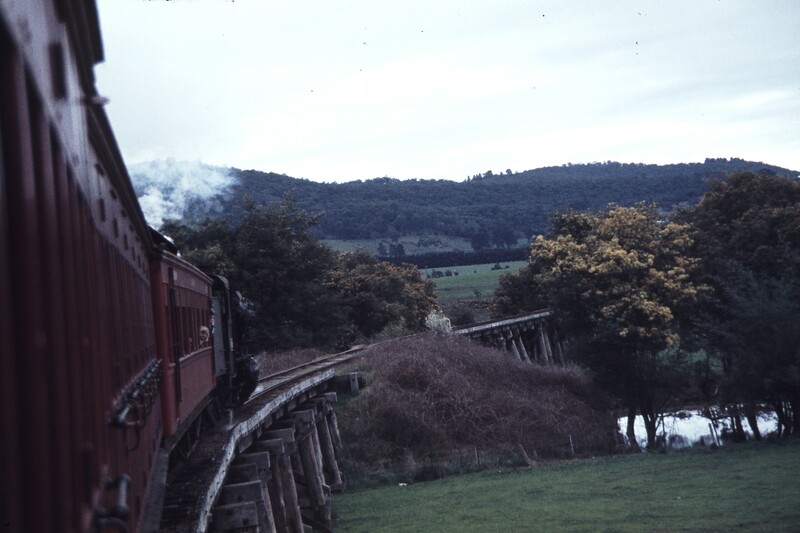 The Yarra Valley Railway operates a section of the former Victorian Railways Healesville branch line between Healesville and the tunnel near Tarawarra. After operating gangers trolleys for many years, the YVR restored 153hp Walker Railmotor 22RM to service in July 2010 and has been a popular addition to the railway. This video features 22RM running between Healesville and Tunnel Hill on the Australia Day public holiday on 26 January 2012. ON December 9, 1980, regular railway services between Healesville and Lilydale ceased after 92 years. For the 30 years since, a small band of volunteers has struggled to keep the old railway line in some form of working order. ''The tracks … they stayed serviceable for a while, but after a while the trips became unfeasible,'' says Brett Morton, president of the Yarra Valley Tourist Railway. 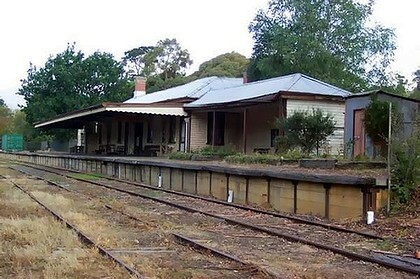 The Healesville railway station before it was restored. In recent decades, the tourist railway has run a small train ''trolley'' on special occasions, carrying up to 50 passengers a short distance from Healesville. The ultimate battle - to get the entire Healesville-Lilydale line running again - is still many years and thousands of new sleepers away from being achieved. But at 3pm on July 17, a momentous victory will take place: Tourism Minister Tim Holding is due to launch the return of a regular timetabled service from Healesville to what locals call Tunnel Hill, almost five kilometres away and near the TarraWarra Estate winery. To get the regular service running again, the rail society has painstakingly restored the tracks, and the collapsed Watts River Bridge with the help of a $100,000 grant from the state government. 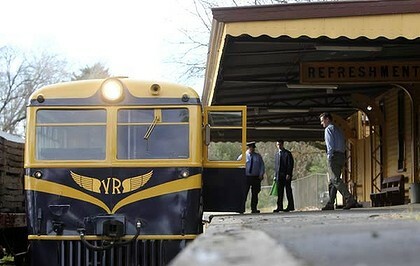 Also making a return is Railmotor 22, which until 1980 ran regularly between Healesville and Lilydale. In 2006 it was transported on the back of a truck from the Williamstown Railway Museum, and, over two years, it has been restored to mint condition. The Transport Department also helped the volunteer group by supplying thousands of quality secondhand sleepers, made available by the department's suburban concrete sleeper replacement program in Melbourne. After July 17, the railway will run on Sundays and public holidays between 10am and 4pm. It will also operate during future school holiday periods from Wednesday to Sunday. Tickets will cost $10 for adults and $8 for children (a family ticket will cost $28). Few shots of steam on the Healesville branch .. I purchased a copy of this book Yarra Valley Railways, arrived yesterday. Great photographs and memories .. The provision of refreshment rooms at Victorian railway stations began in the 19th century, when the only way a passenger could get any refreshment on their journey was at purpose built rooms. Refreshment rooms were set up at all major stations, most junctions and some other stations where long stops were necessary for train-watering or other running purposes. There were usually many stops on all main lines, and at least one timetabled stop on most branch lines. 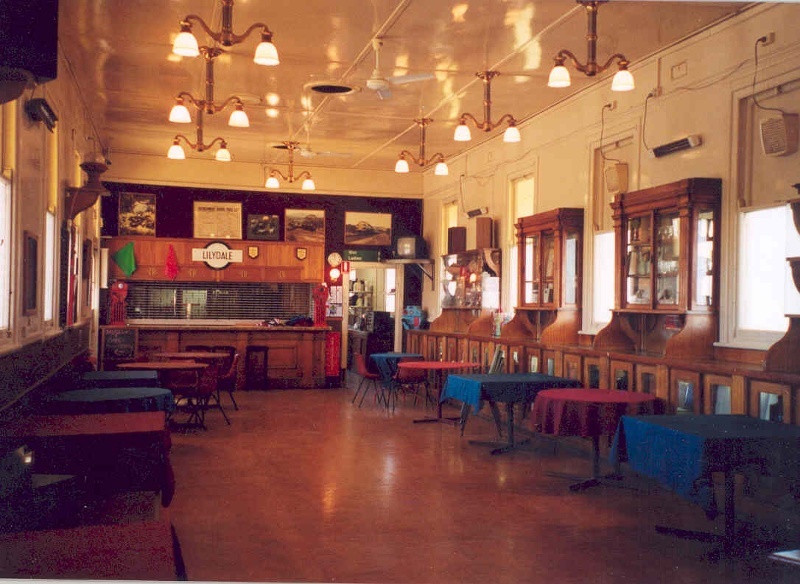 The last trains to make refreshment room stops were the Sunday trains to Swan Hill at Bendigo, which ceased in 1983 with the introduction of a buffet car. The three main types of refreshment rooms were set table rooms, counter meal rooms and tea stalls. Set table rooms were generally operated as licensed dining rooms and were available at large stations and interchanges such as Bendigo, Ballarat, Geelong, Seymour and Warragul. Counter meals, also available at the larger stations, were available at other regional stations, such as Traralgon, Korong Vale, Korumburra, Castlemaine, Echuca, Warrnambool and this example at Lilydale. Counter meals were generally a hot one-course meal with beverages. The last counter meals served at country stations were Ballarat and Seymour, which ceased in 1976. The Lilydale railway station refreshment room was opened in 1914 as part of the new railway station building. The station was a busy tourist interchange, and a large part of its trade was the day-tripper tourist crowd travelling on to Healesville, and to Warburton, the line for which branched off at Lilydale. The rooms were privately operated until 1919, when Victorian Railways took over the operation. Between 1932 and 1939 only light refreshments were served because of the depression and a downturn in passenger numbers. The rooms included a large cellar, separate bar, and the main refreshment room measuring 55ft by 20ft (about 20m x 7m), with pressed metal dados and platform serving window. Although the counters are now gone, still surviving along one side of the room are the original glass-fronted cabinets installed when the rooms were built. The rooms were operated by a staff of six or seven and adjoining rooms included kitchen, scullery, toilets and living quarters for the manager. The rooms were finally closed in 1978. The Lilydale railway station refreshment room is of historical significance to the State of Victoria. 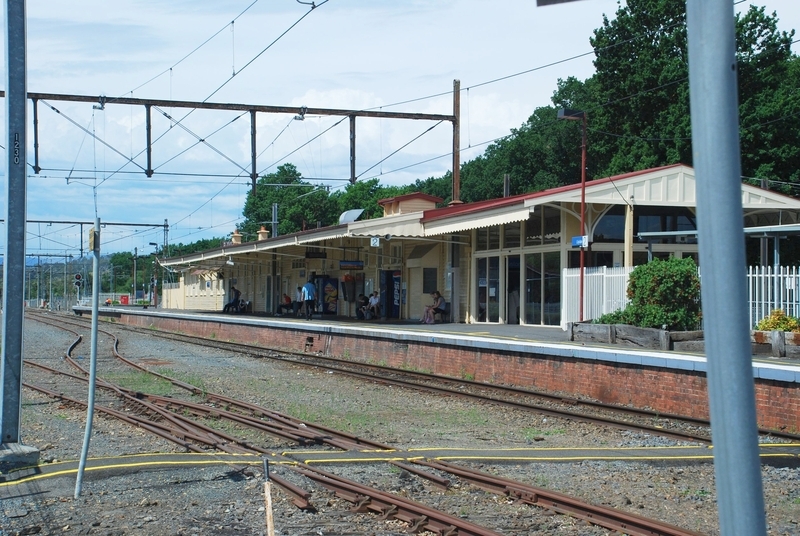 The Lilydale railway station refreshment room is historically significant as an intact example of a type of railway infrastructure that was once an everyday experience for train travellers in Victoria. This room is significant as the last remaining refreshment room on the suburban network, and is significant in particular as a reminder of the tourist crowds that travelled to this region by train. This room was for counter meals only, and is in contrast to larger surviving dining rooms at places such as Seymour and Serviceton.